Alaska is always considered a "bucket list" item as a place to visit for folks in the Lower 48 and around the world. Which begs the question - why not make 2015 the year you do it? Here are a few things you need to know to get started in making your dream a reality this year. First, Alaska is big. Real big. If you cut Alaska in half and made two states, it would bump Texas down to the third-largest state, behind the two halves of Alaska. So plan accordingly - make sure you give yourself enough time to fully explore all our great land has to offer, from the tip of Homer to the north of Fairbanks and beyond. Secondly, don&apos;t be intimidated. It can be tough to plan a 10-day trip, we know, but it doesn&apos;t have to be. Other than the cruise destinations in Southeast Alaska, most of the cities are along the road system. The Mat-Su Valley is a perfect place to plan your "hub and spoke" vacation. We&apos;re just an hour north of Anchorage, two hours south of Denali National Park, and have amazing outdoor recreation opportunities, scenic beauty, glaciers and more. Third, be prepared. Request a state vacation planner at http://www.travelalaska.com/, and then request a Mat-Su Visitor Guide at www.alaskavisit.com/visitors/request-visitor-guide/ Both should get you started, and give you helpful tips and hints. Lastly, be amazed. Yes, this place is gorgeous. Yes, you&apos;ll see mountains, rivers, glaciers, wildlife and more. You&apos;ll leave with your camera cards full of breathtaking images, your mind filled with amazing memories, and most of all, you&apos;ll leave with a desire to come back. That&apos;s fine - we&apos;re glad to have you. 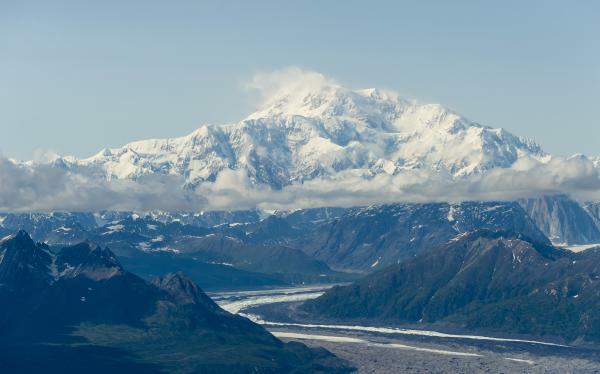 Here&apos;s to making 2015 the year you get to visit Alaska. And for us Alaskans, make sure it&apos;s the year you get out and explore your own backyard.